"It looks so odd Mom, please ask Dad to change it", said young Ryan when he saw their new house for the first time. "It is important to your father darling. You need to understand that." 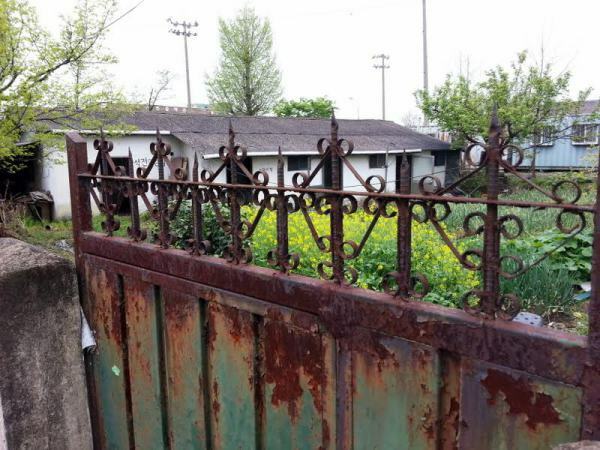 "Our house looks so beautiful but the look is ruined by this rusty gate. Why do we have to keep this? It deserves a place in trash." "Memories, my son. This gate was a part of your grandfather's house, that is lying amidst ruins now. Your grandfather was a very hardworking man, he made this himself." "Actually, it doesn't look all that bad now." This drabble (100 word fiction) is written for Friday Fictioneers, 18th September 2015. One person's junk is another's treasure. ☺ Great illustration of the point! The grandchild understood the emotions behind the corroded gate and that matters. We cling to memories and keep them alive. We often get attached to memories... and carry them with us ..
Memories can be rebuilt. Lovely! Adding sentimental meaning to an object can make it more precious than gold. Lovely! It always helps to put things in the right perspective, doesn't it? nicely done. Very nice perspective on the rusty gate. I loved it. Knowing the history of the gate endeared him to the gate. Great story! We actually have such a rusty gate in our family home and dint change it for similar reasons ! Can relate to this ! Well done to the boy for understanding the importance of the gate to his Dad. Good boy.. I still have the Bycyle my Grand father use to ride .. it is important to hold on to some memories ..
Looks like young Ryan has his heart in the right place. Moving story. He sure does. Thank you.